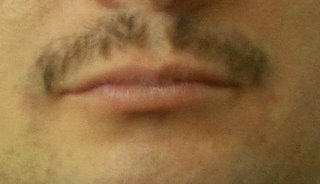 It is finally time to determine the winner of the 1st Annual Ramadi Surgical Mustache Contest. Please review the contestants below, choose a winner, and post your selection on the blog. When making your selection please consider several variables: size, shape, color, fullness, symmetry,and kissability. Faces have been concealed to ensure an unbiased vote. If one of the criteria for best moustache is "most evocative of the village people," I vote for #3. Will the contest extend through the new year? Can we vote twice?? If so I say #3 again! Although all look good but I am bias for Carlos, and can tell it is yours. Tyler votes for Daddy's. #3, He recognized it right away. I think I will root for Daddy's because his looks really good. I am going to have to go with #3 or madison would be very upset. She really wants Daddy towin. if i am not too late, i will vote for #2 and #4 too. the pressure of a vote. Alright, I vote 3 and 1. I definitely vote for stache numero uno. The triangular lines and fullness of this particular stache are impeccable. I enjoy the multicolors and the small piece of food stuck in it. Well, obviously, #3 wins. Yup!! #3 is Tyler's right? - but which one is Trevor's? We all voted #3 looks the best. I have grave concerns about the legitimacy of this competition. Clearly the ballot box is being "stuffed" by the owner of this web site. I am strongly considering challenging the results of this competition to the National Association of Mustache Grower's and the American Society of Mustache Connoisseur's both official licensing bodies of such a critical competition as this. In addition, during the competition bottles of "Rogaine for Mustache's" were found in both Dr Brown and Dr Clark's personal affects. Clearly - Mustache #4 has perfect shape, color, symmetry, and fullness. Mustache #4 is the CLEAR winner. Signed an unbiased observer. kissability: kissing a man without a moustache is like eating an egg without salt! Eating a man without salt is like kissing an egg without a moustache! Clearly #4 is the best all around Mustache. I'm not sure about the egg and salt comment? #4 shows taste, attention to detail, humility and sophistication. The clear winner! #4 = the moustache of a true blue metro-sexual! No contest #4 and I am proudly biased. #3. Luxurious and Macho. Is that Sam Elliot!? 3 and 4 are both out of regs, but those extensions past the lip are the most important part. Mustache #1 is looking pretty good! No. 4 is the clear winner on color, character, and charisma. It's # 4 by a hair. Will mustache #4 please strike a smile? You go #4!!! #4. Bring on the soul patch contest! #4 looks the best, although they are all nice. #3 voters might be bias, bur how about the #4 voters? i too think you all look great. I vote for #4. Very distinguished! I'm going to have to go with # 4--looks like a Husky to me. 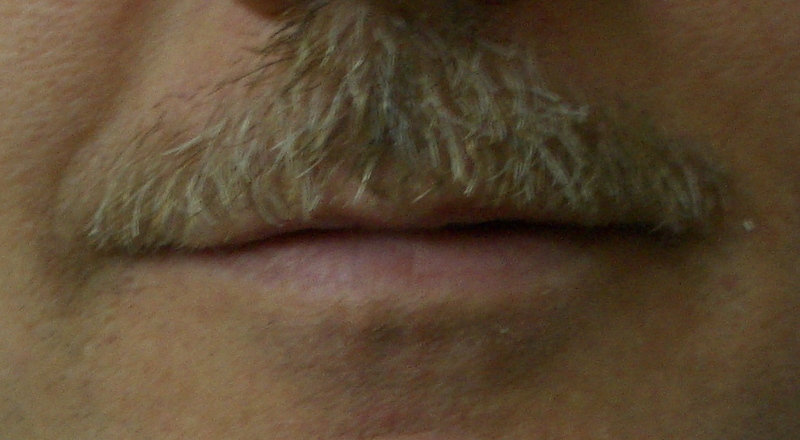 In addition, since kissability is an explicit criteria, you've got to give # 4 points for being the most likely to be found puckering up in the vicinity of an Admiral's stern . . . .
With 'staches like that, it's no wonder everyone wants the US out of Iraq. I vote for #2, with the hope that there's a fine mullet to match it. #4 is the clear winner. He blows the entire competiton away. So silky smooth yet firm and daring. I'd have to wager that his stash is the best "first timer stash" I have seen. It's like watching the colts play the raiders, there is no comeptition. 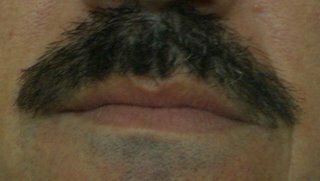 Mustache #4 - it's got a good beat and you can dance to it....! definitely #4; however, as to its kissability, I'm not sure -- but then, I'm not sure about any of them as I have a "kissability" quotient with my partner of 42 years! Go NAVY! Beat ARMY! #4 - you the man! The clear winner! TOTALLY #3!!! ALL THE WAY!! That is almost, almost as LOVELY as Tom Selleck!!! It is clear that all the mustaches are in the navy, since they are well outside army lines! With coaching, I vote for #3, but am also partial to the color of #1. TP says that #4 is an obvious choice - that is if you enjoy the look and feel of a small rodent attached to you lips. Must vote #4....but a vote under duress as I'm getting threats of receiving no xmas presents from the in-laws and wife. My apoligies to the other contestants. is the voting over? if not i vote for #1. "a greek fisherman's moustache," "sam elliot," "village people," "stalin," and "luxurious and macho." all of these have been used to describe 'stache numero tres. clearly it is the standout in terms of raw character and appeal as pure spectacle. Come on now!!! How can anyone NOT think that #3 is the winner!!!?? WOW! Are all of you loved or what??? All staches look great but still think 3# should win. What is the prize anyway? WOW - I thought I'd come in to see who won...71 votes! I agree with the last 'anonymous' entry; all of the staches do look great. Good question - what is the prize? You have our vote, #4! I'll go with #4. It reminds me of the Irish Setter I never had. I'll have to remain anonymous or be in trouble with my own husband, but if I could pick, this true California Girl would pick #3! LIke the war efforts....your moustaches can no longer "stay the course." I reccomend shaving the bastards off ASAP. Toda la familia de Barcelona, atico, votamos por #3 porque es el que tiene el bigote "mas inteligente"